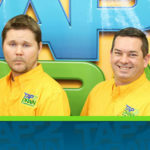 Happy New Year from Tap 2 Drain! Isn’t it exciting a fresh new year, new plans, new energy and all that really happened is the same thing that happens every day, we got out of bed, we just named it different. So have you made you plans or resolutions? 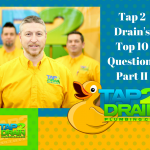 At the beginning of every year I like to “forecast” for Tap 2 Drain. Really it’s just setting goals and making a plan on how we will get there just like a resolution. We resolve to continue to provide our exceptional level of customer service and make sure that never changes no matter how many people we add to our team, we will never forget what makes us different. So what are some of your resolutions? There are also some exciting changes for the new year and home show announcements. As of February first we will be moving our office to beautiful Mission, BC. This space will provide us with a central location and more room to grow. We are very excited! More info and pictures to come. We will be at the Chilliwack Spring Home Expo January 29, 30 and 31. At Chilliwack Heritage Park 44140 Luckakuck Way, Chilliwack. We will also be back at the Maple Ridge Home Show April 29, 30 and May 1st. At planet Ice in Maple Ridge. 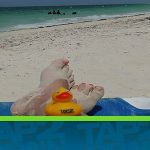 At both shows we will have our famous T2D rubber duckies by donation to Children’s hospital. 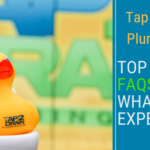 The very popular T2D plinko game and a first for Tap 2 Drain Pete the T2D duck will be making appearances. It’s going to be a great time so come out and see us. We look forward to meeting you!